Every couple dreams of a celebration that is perfectly reflective of their special union. 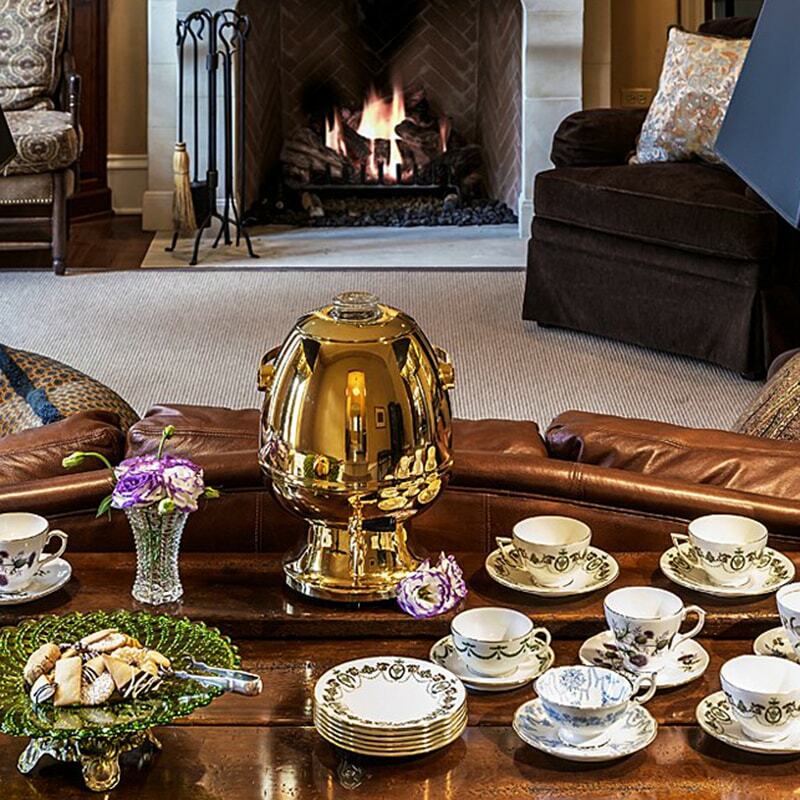 At Entertaining Company, we possess an innate understanding of cultural nuance, as well as a collective intuition of tomorrow’s trends. 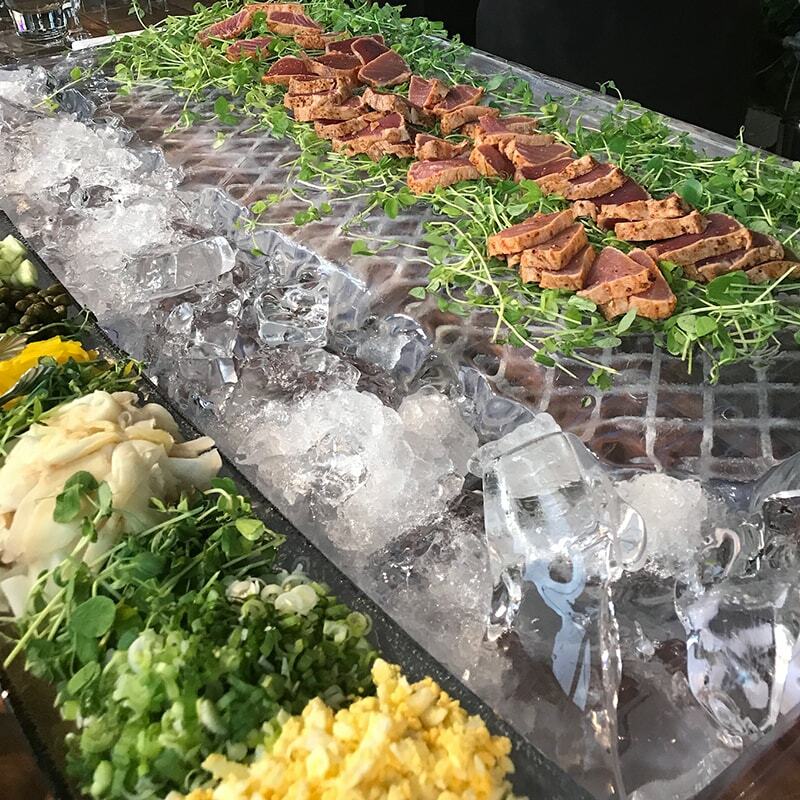 Our creative culinary team is teeming with ideas that will both please and delight your guests of all ages and backgrounds. 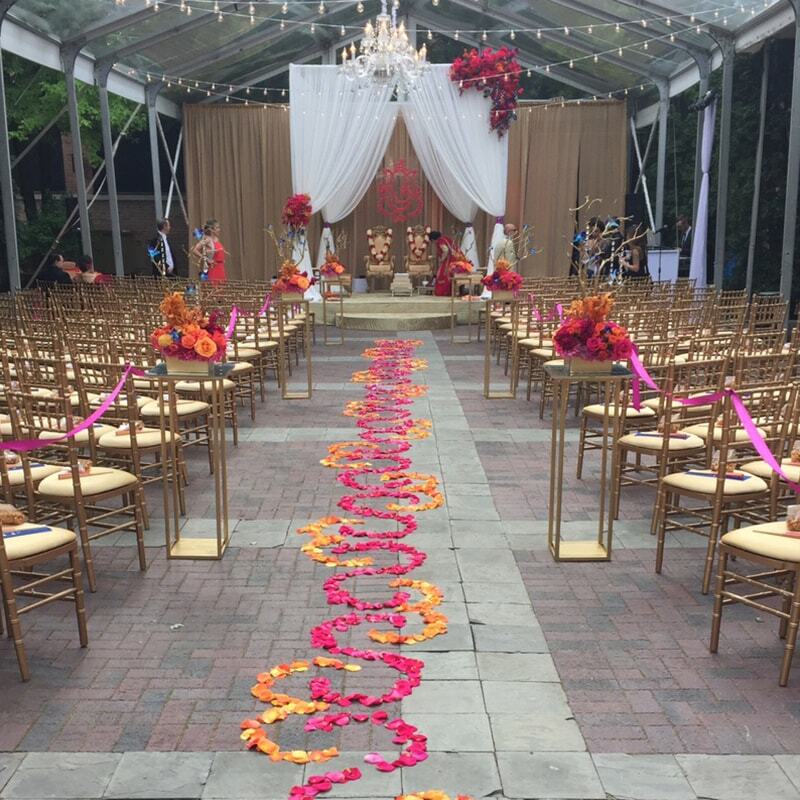 Dreaming of a Mendhi-style rehearsal dinner? Or a kosher-style reception? Our unique “one-world” point of view will help you strike the balance between appropriate and all-out amazing. 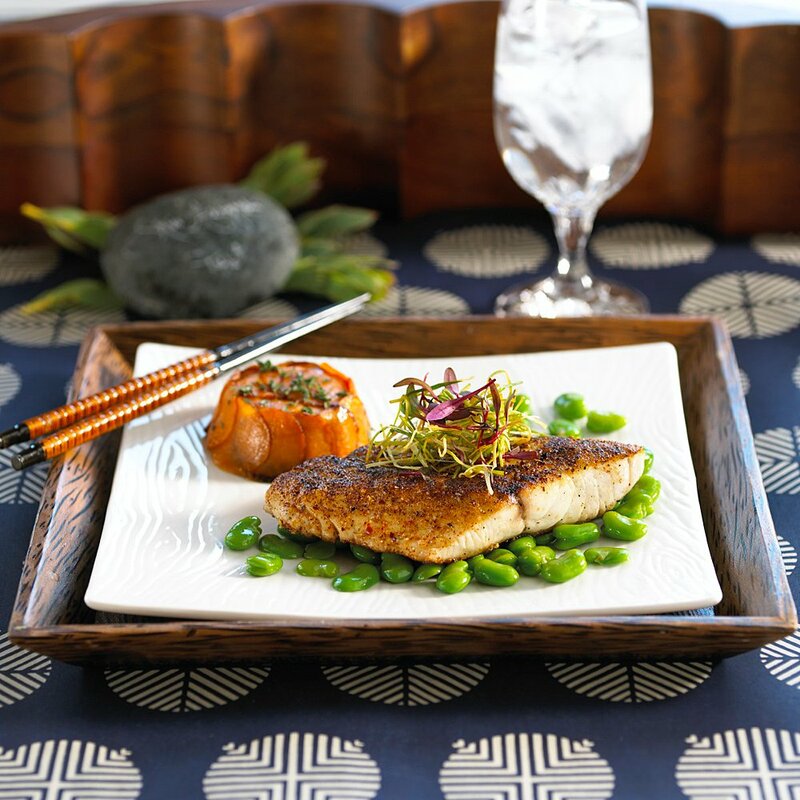 After carefully architecting the menu, our culinary designers artistically compose the perfectly paired tablescape and presentation. Our culinary team is comprised of the curious. We’re big believers in the innovation travel can inspire. Whether it’s crossing an ocean or even just crossing town and discovering a section of the city we’ve never visited, we’re always down to experience old traditions anew. 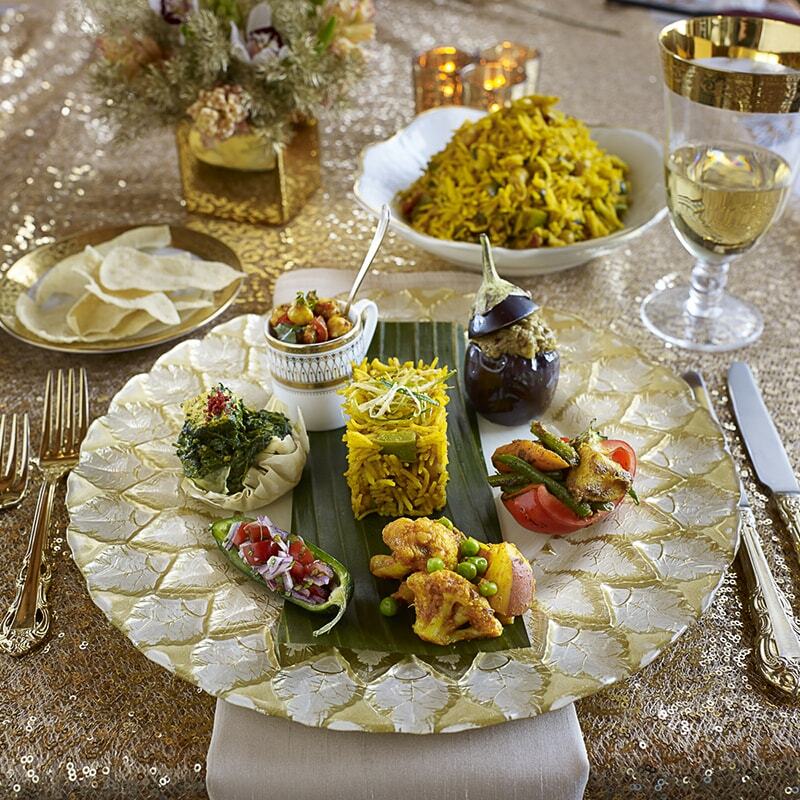 Many of our clients look to us to incorporate their own familial or cultural traditions into the celebration. Always on the cutting edge of culinary trends, we expertly mesh the old with our own sleek, modern flair. The best wedding celebrations, whether the guest list is 5 or 500, feel deeply personal. Each menu we create, and table we style, is totally unique to that couple. Perhaps you want a celebration reminiscent of the South Seas Island where the two of you first fell in love. Perhaps you envision a multicultural affair, a fusion of the ethnic and national heritages on both sides of the family. We borrow from your memories, your family recipes (no, really! We can include them in any way you like!) and your history as a couple to craft an experience that’s distinctly reflective of your personalities. Congratulations! 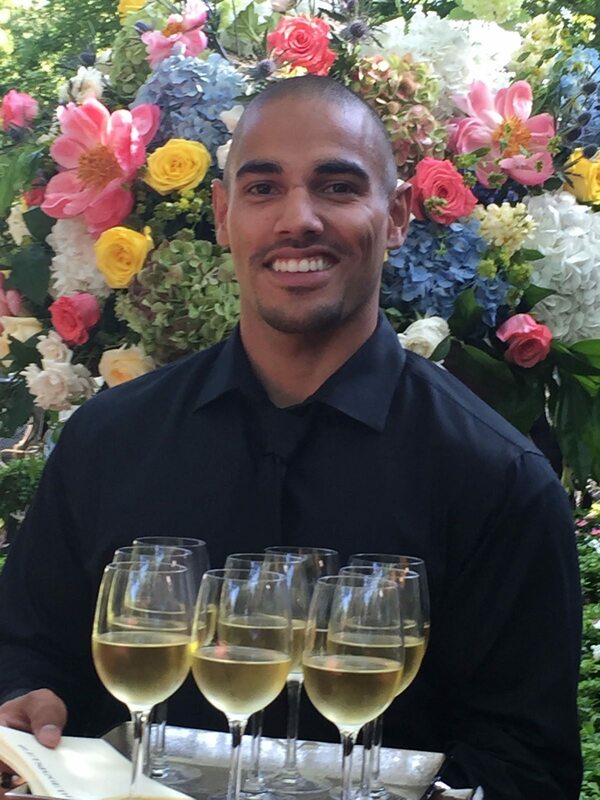 You just got engaged, and it’s time to celebrate! 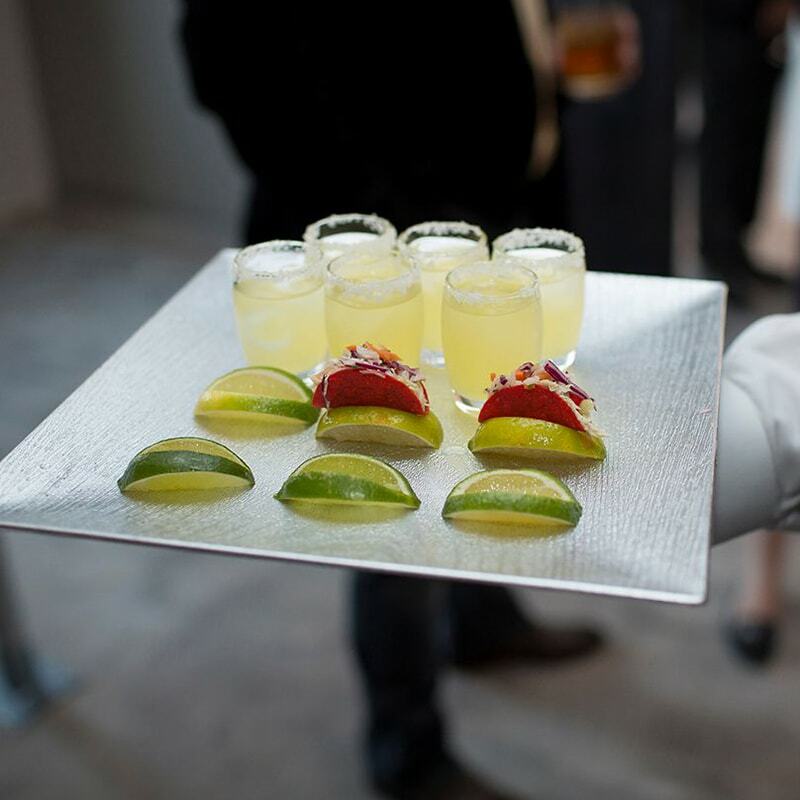 Your engagement party may not need the intense detail of the ceremony and reception, but that doesn’t mean you can’t put together a party to remember. If you haven’t yet thought about the theme or color scheme of the wedding, don’t worry about it! The engagement party doesn’t have to be a mini wedding reception. Play to both your tastes and those of the guests. Consider theming the food around your shared favorites as a couple or around a locale that’s important to your love story—where you met, where you first said “I love you,” where the proposal happened. We suggest a semi-casual serving style, with waiter-passed hors d’oeuvres and cocktails, and a family-style buffet dinner. Bridal showers are pre-wedding gift-giving parties held just a couple of months before the ceremony. 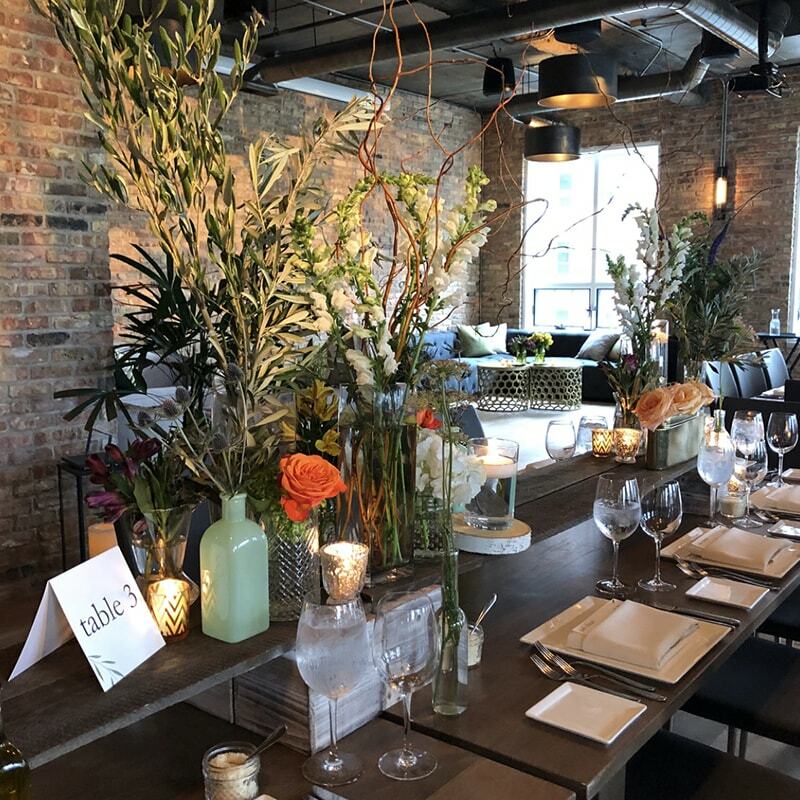 Traditionally, it’s a party for the bride (or brides)-to-be and their girlfriends, though many couples now hold duo “wedding showers.” Either way, it’s another excuse to gather friends and family for food, drink and fun! It’s one of the more casual pre-wedding affairs—no need for a 4-course sit-down dinner. 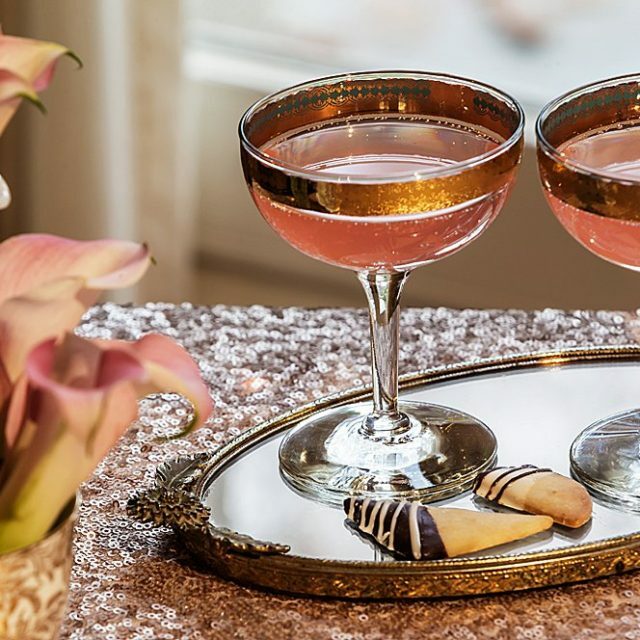 Bridal shower attendees should enjoy a smattering of bites (waiter-passed hors d’oeuvres), champagne or signature cocktails, and lots of dessert options! Planning for your bride-to-be? Theme the food and drink around her favorites! It’s a celebration of HER, after all! 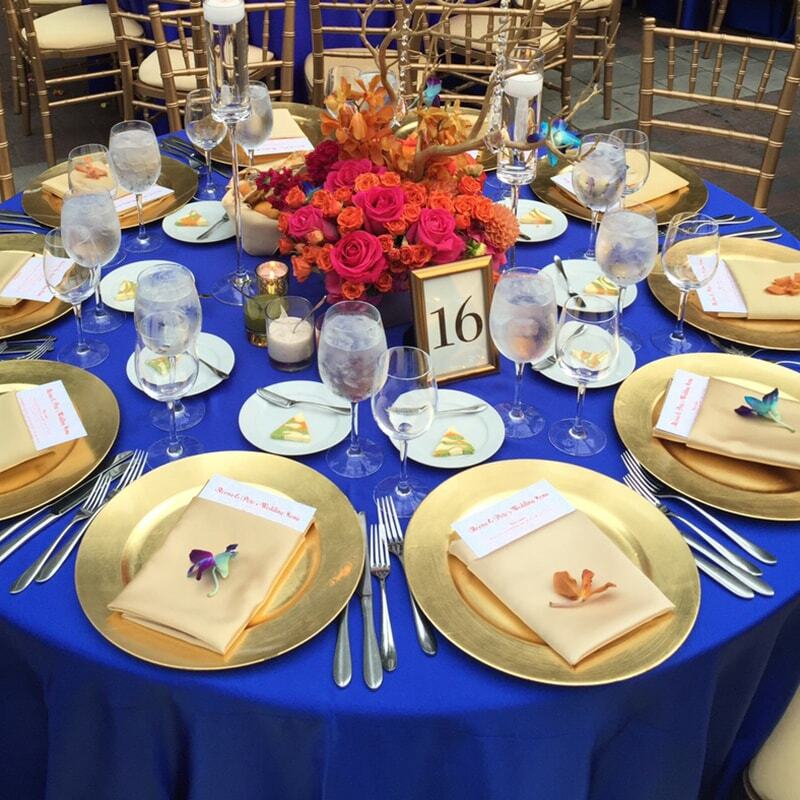 Plus, we can help you create signage and tablescapes on theme with her ceremony. The wedding is just days away, and, FINALLY, your guests have arrived! 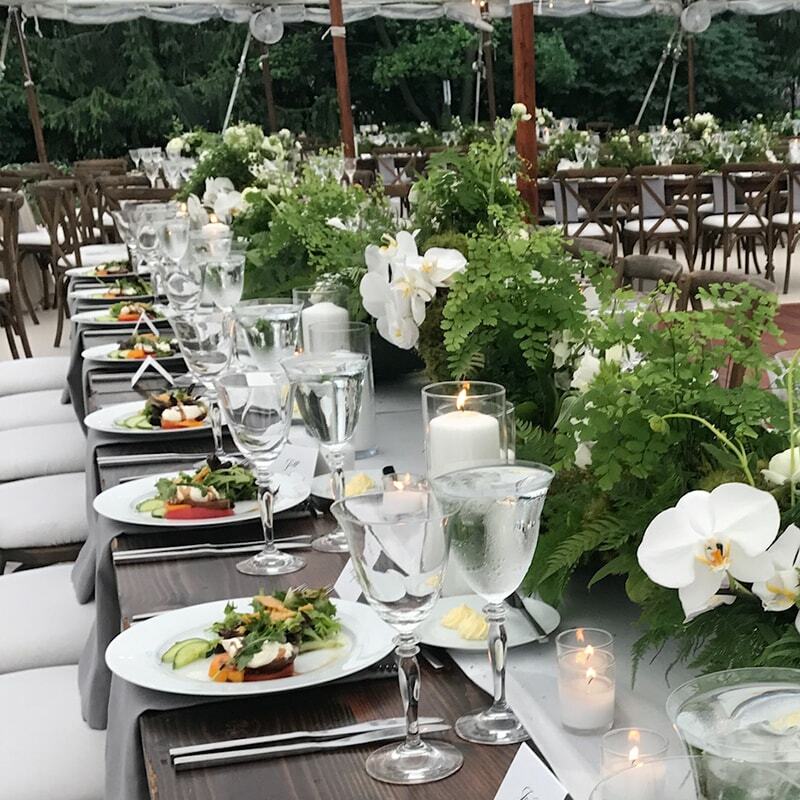 While some couples choose to make their welcome party a part of the rehearsal dinner, many host a separate welcome, especially if the guest list includes lots of out-of-towners. The party is a loose, fun gathering where guests on both sides of the aisle can meet and mingle. We love the idea of a party themed around the two families. 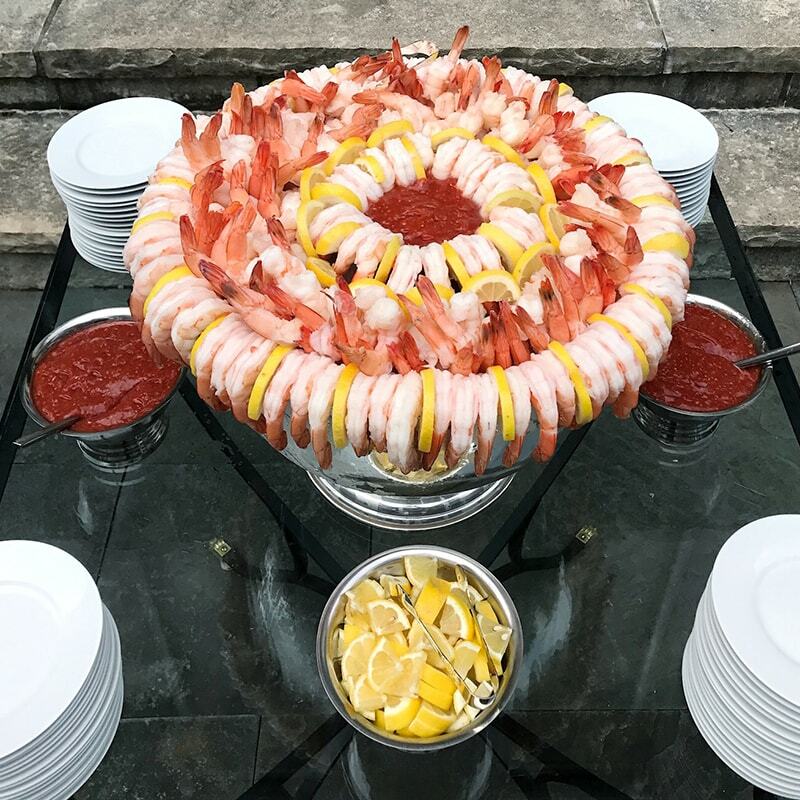 In the past, we’ve styled parties based around baseball rivalries—Boston lagers and East Coast lobster rolls in Red Sox servers to represent the groom’s Boston family vs. Goose Island IPAs and Chicago-style dogs in Wrigley cartons for the bride’s Chicago family. Buffet-style fits the casual atmosphere and gives your guests plenty of options. The wedding is just one day away! You’ve practiced walking down the aisle, your wedding party (hopefully!) knows where to stand, and there’s nothing left to plan. 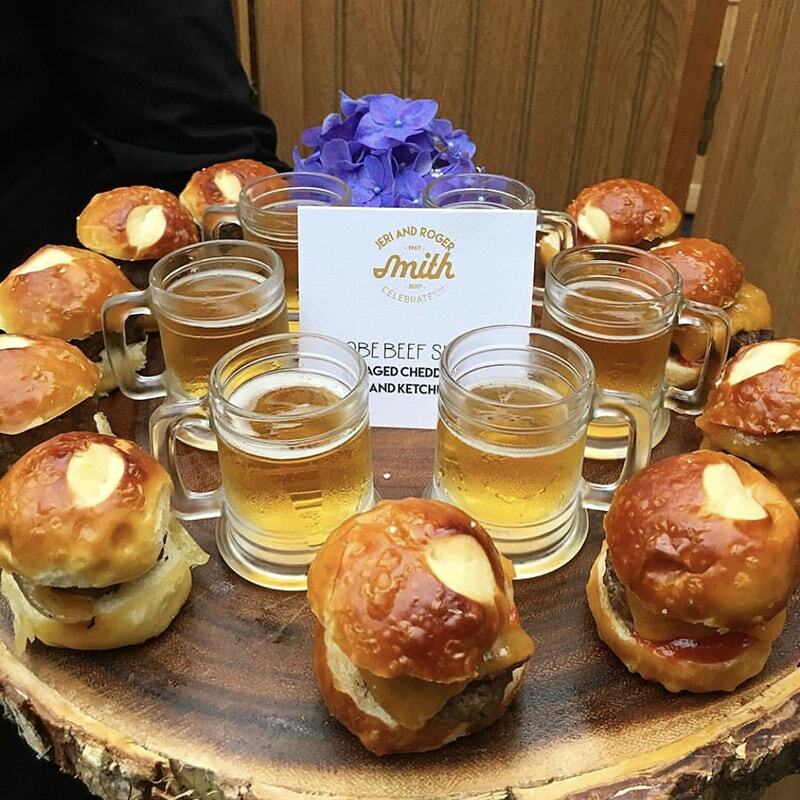 The rehearsal dinner is a chance to gather with just the closest on your guest list—it’s an event typically reserved for the families and wedding party—and toast to the coming nuptials. This dinner is a time for the couple of the weekend to honor their wedding party and vice versa, exchanging gifts, speeches and laughs. It’s also another opportunity to introduce guests to your fare of choice. 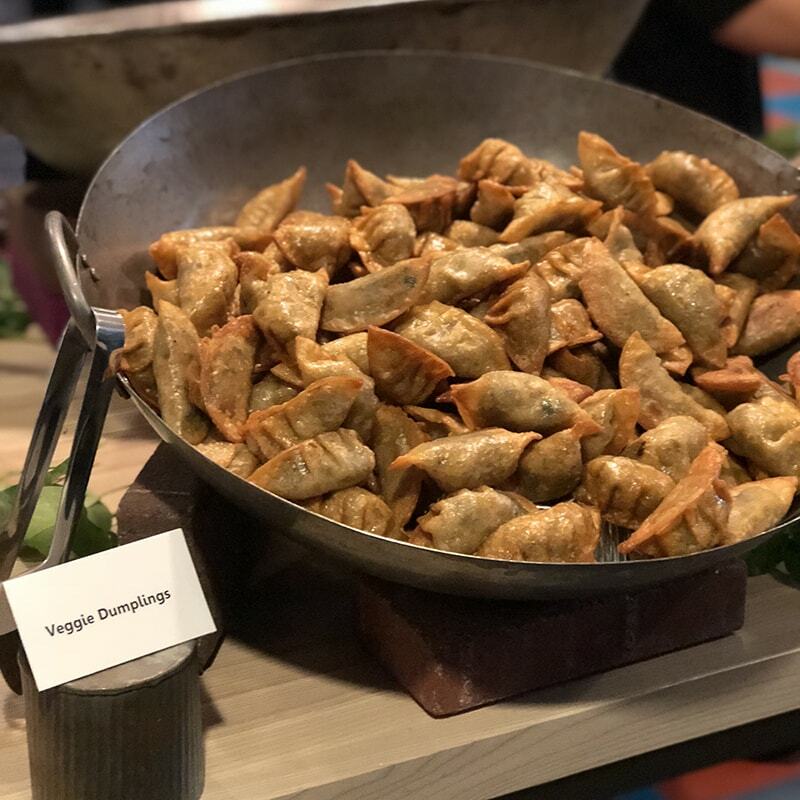 We again suggest a theme personal to you or to the location—Chicago classics, hometown food, cultural fusion food from the heritages of both sides of the families, etc. You’ve decided to go BIG! 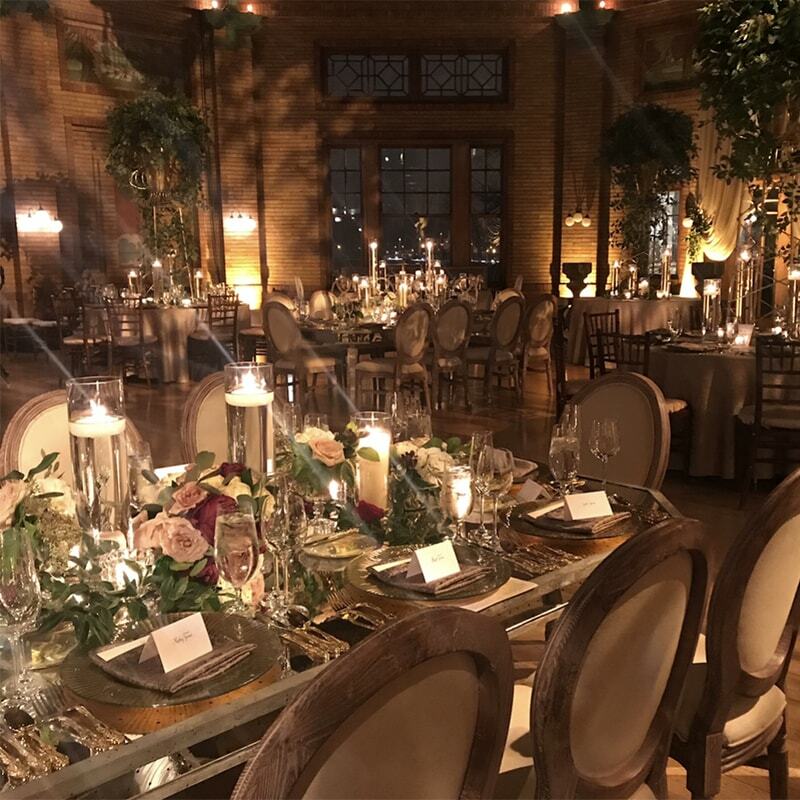 An opulent venue, lush florals, a one-of-a-kind dress…and now? Food and drink to match! 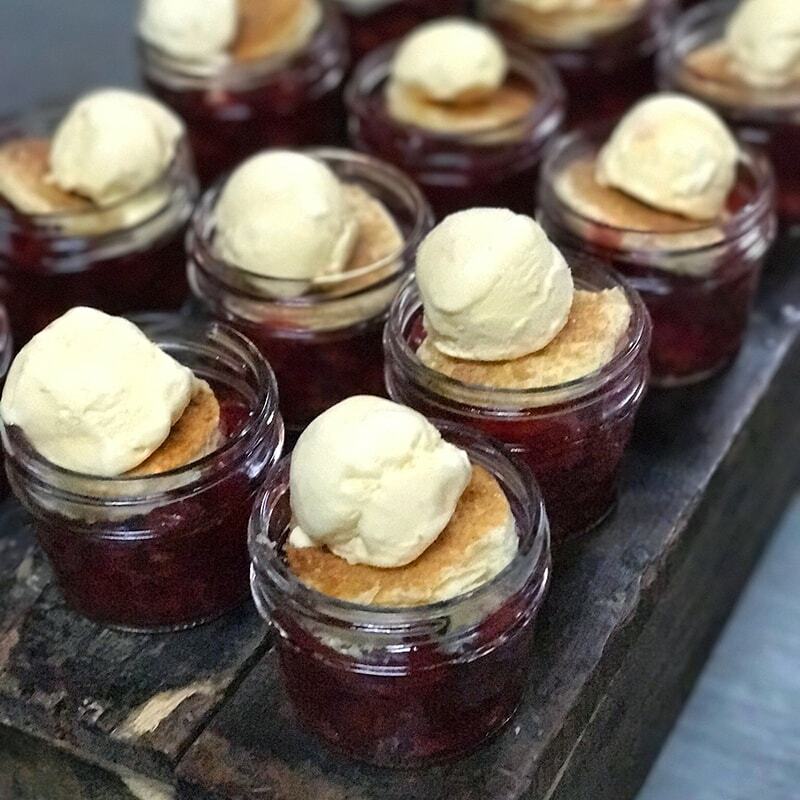 We’ll create a totally custom menu featuring all your favorites—elevated. Deviled eggs become fried and deviled quail eggs, caviar is served with a Grey Goose cocktail, the classic beef tenderloin dinner is dripping in port shallot sauce and styled on a gold-rimmed plate. 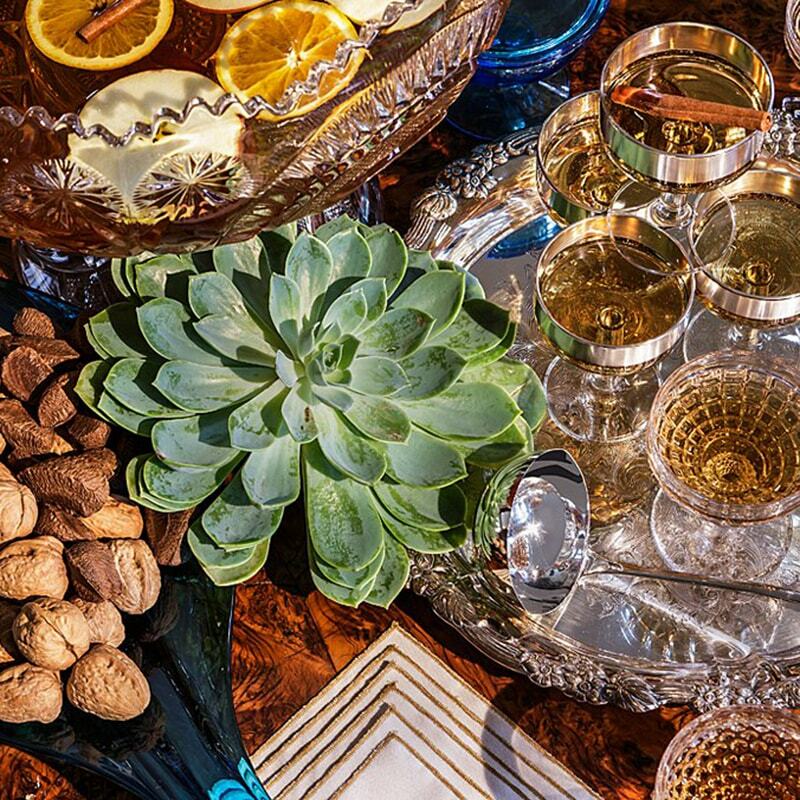 From cocktail hour hors d’oeuvres to late nate snacks, all the dishes live up to the glam ceremony setting. Your wedding ceremony is steeped in your families’ cultural traditions. 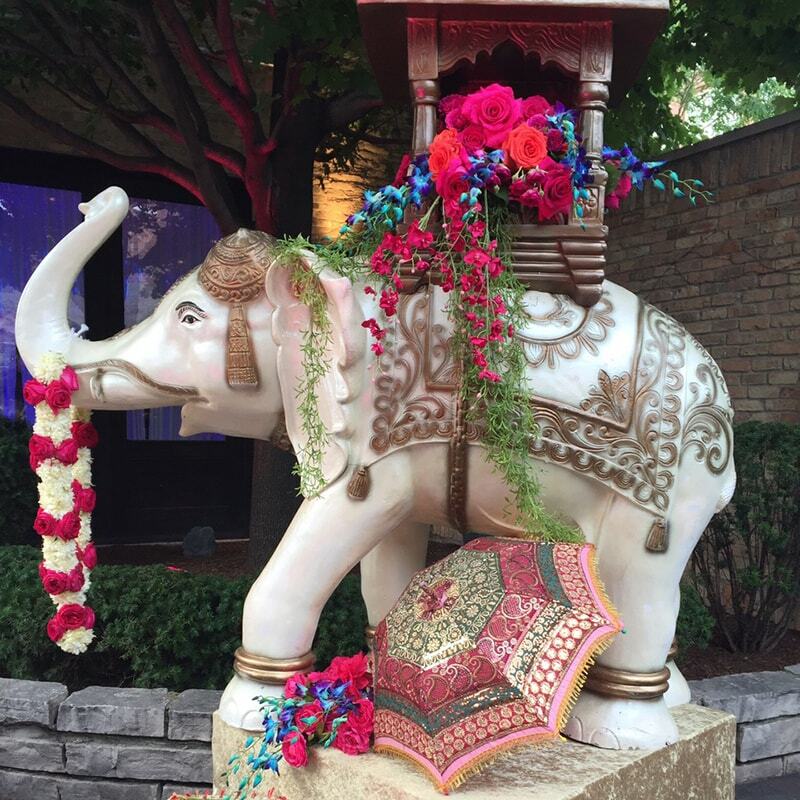 Whether the ceremony is Sikh, Jain, Hindu, Jewish, Christian or any other denomination, you can depend on our diverse, knowledgeable team to honor your customs. 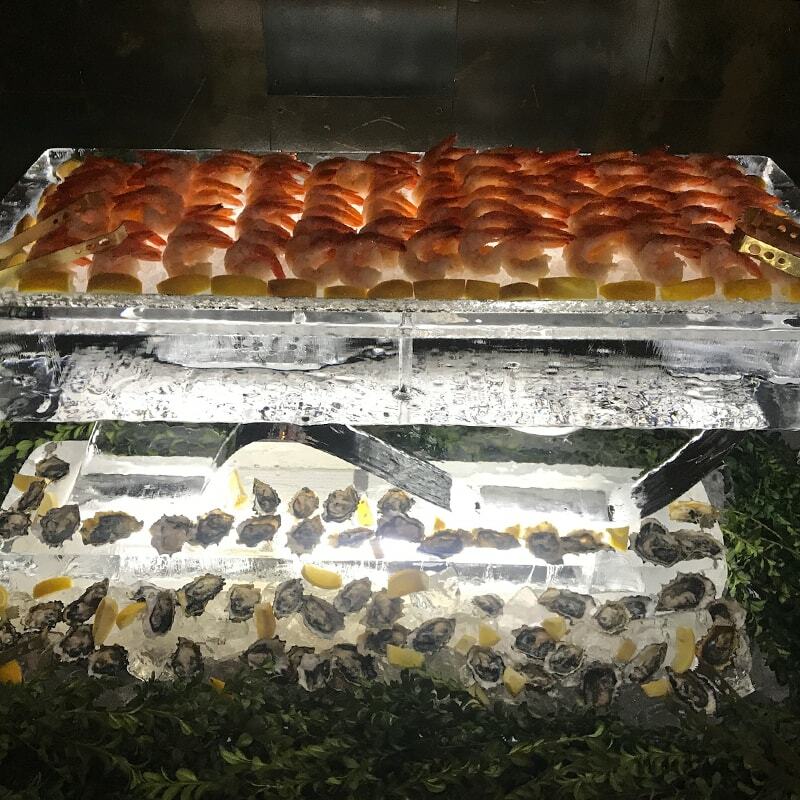 We create elaborate buffet-style dinners for Mehndi ceremonies, kosher-style dinner services for Jewish weddings and impeccable service from cocktail hour to late night snack time. Forming a union of two distinct cultural identities? 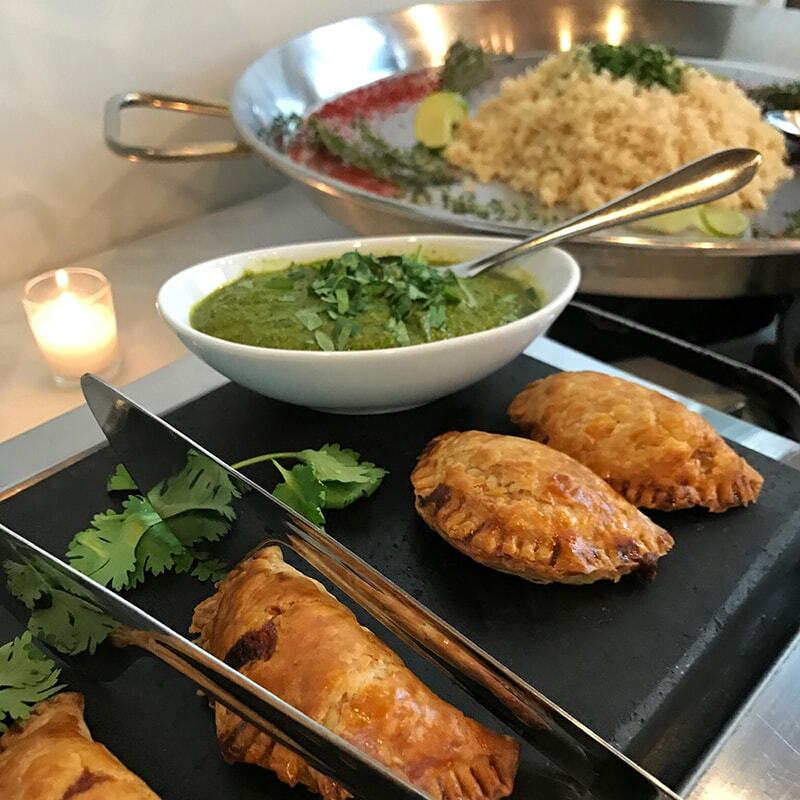 Our fusion food is second to none—our chefs have developed Indian-Mexican dinners, Brazilian-American buffets, African-Spanish dishes and so much more. 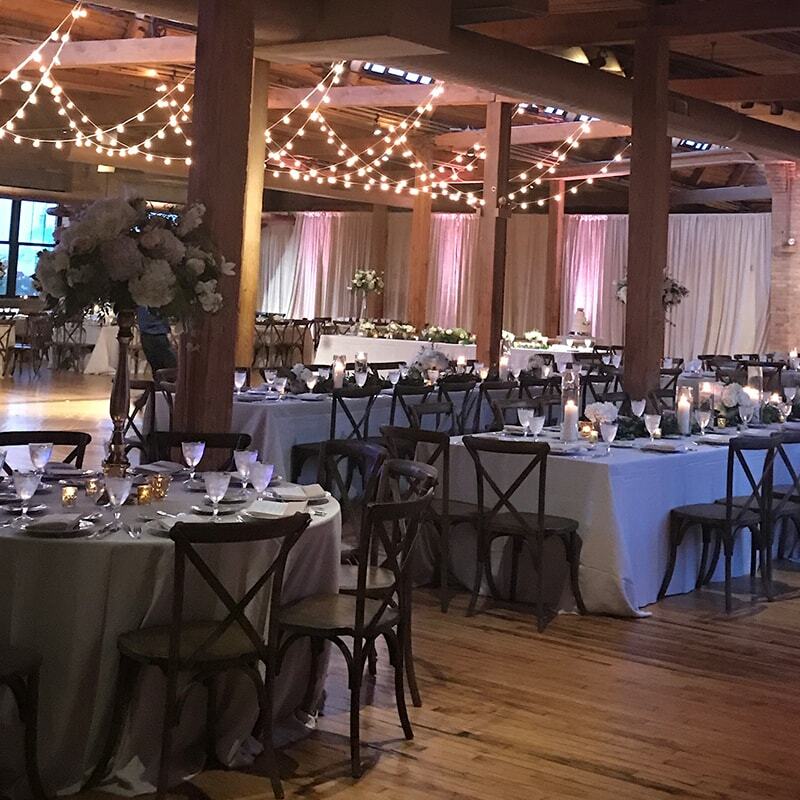 Vintage vibes, organic settings—you want your wedding to feel natural and a little laid-back, without sacrificing quality. Our kitchen purchases from local, reputable farmers when possible, and we’re big into seasonal eating. If interested, we offer green business solutions at any event. Plus, we partner with several rustic, sustainable venues such as Greenhouse Loft and The Farm at Dover. 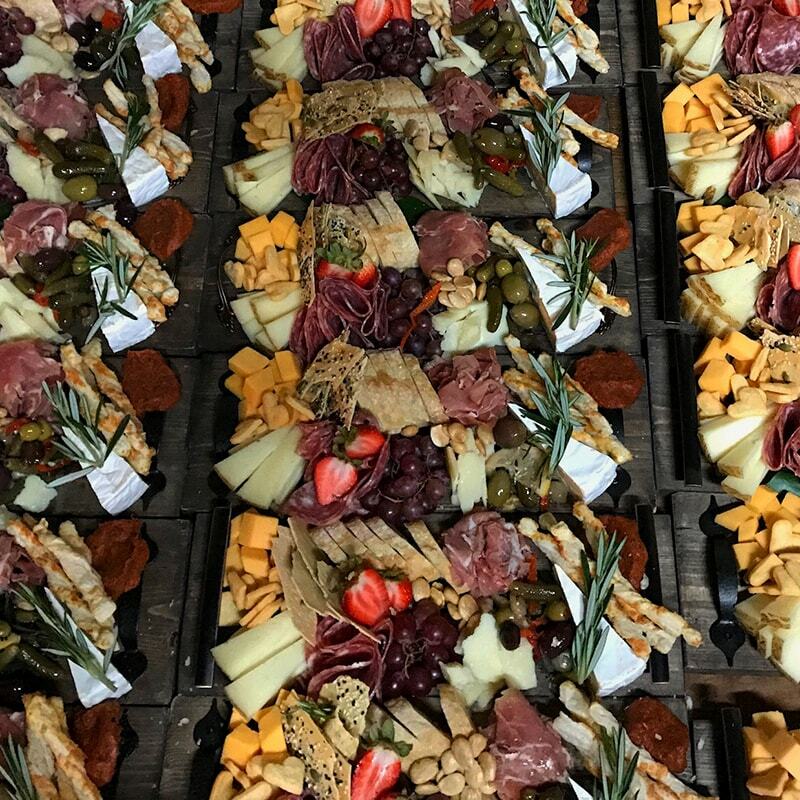 We love to create artful, overflowing cheese and charcuterie displays on wood serving boards for cocktail hour. 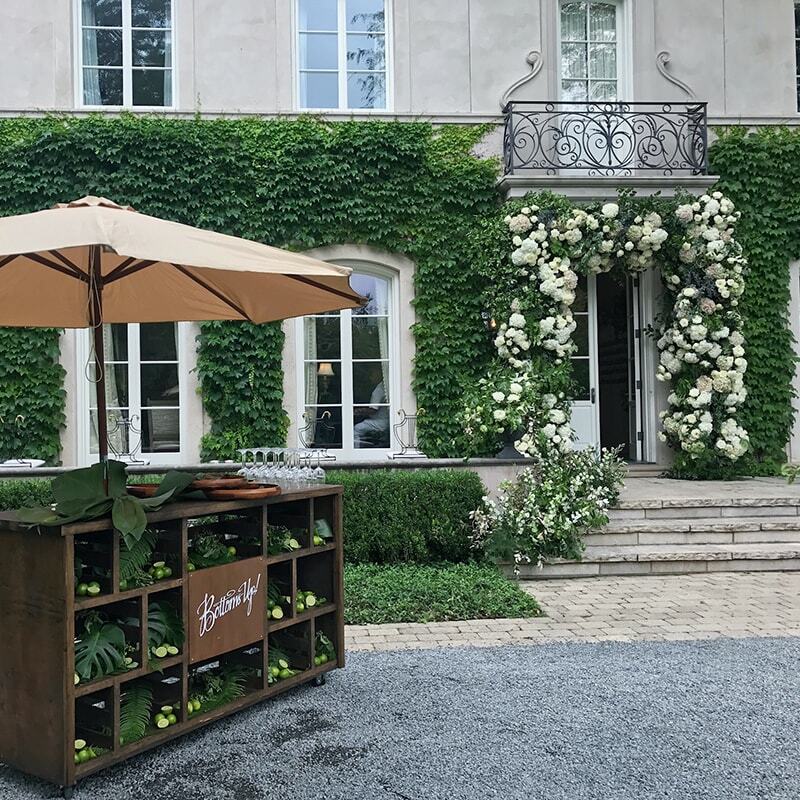 Our dinner service can feature in-season fruits and vegetables, and organic ingredients can be incorporated into any of the couples’ favorite dishes. 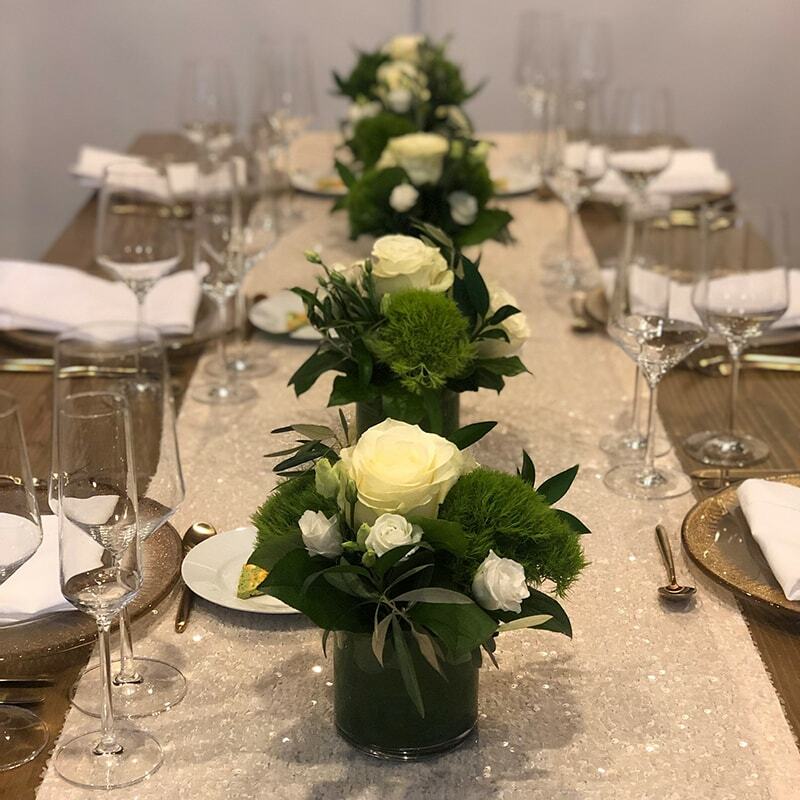 Perfect for couples who want a more approachable, personal affair, our lo-fi wedding packages offer affordable ways to get our gourmet food and top-notch services. 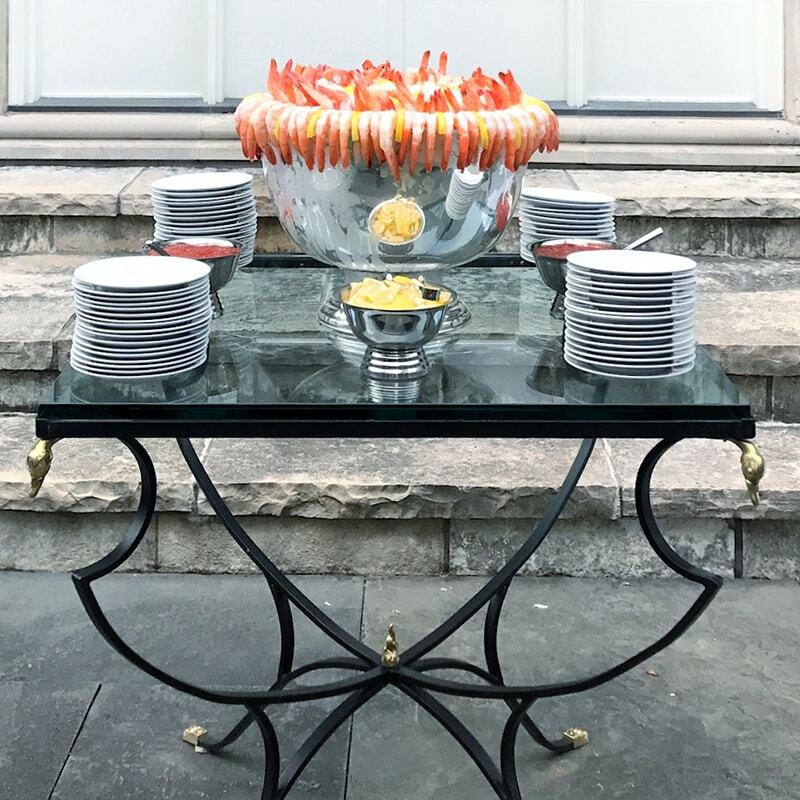 This option is a great way to keep small wedding venues feeling airy and open—there are no waiter-passed appetizers; it’s all buffet-style, keeping extra folks in the room to a minimum. Guests can enjoy a relaxed dinner service with shareable dishes, and couples can enjoy stress-free celebrations!